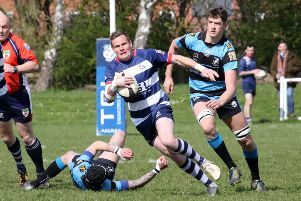 Player-coach Matt Goode heaped praise on his squad after Banbury Bulls finished third in Wadworth 6X South West One East. Goode said: “To come third is great, to come out of games with lots of injuries I think we’ve done tremendously well. “I think we’ve been improving all season, it’s been tough but it’s really added to our squad depth and pushed people on. Looking back on Saturday’s final day success over Witney, Goode said: “I think the first 30 minutes we were fantastic, I was really impressed with how we played. I think after that we got complacent, we thought we were going to walk it.